Are formulated for use on light coloured fabrics and available in full range of bright and vibrant colours. Application – Hydrotex fabric colour is a range of water based acrylic inks, suitable for printing on most print ready natural and synthetic materials. When correctly cured it offers excellent wash / dry cleaning resistance and very good light fastness. Hydrotex is available as a ready to print product or may be purchased as a base (print paste) and pigment as required. Mesh – Monofilament mesh 43T – 48T is recommended, although both finer or a more coarse may be used as well as multifilament mesh. 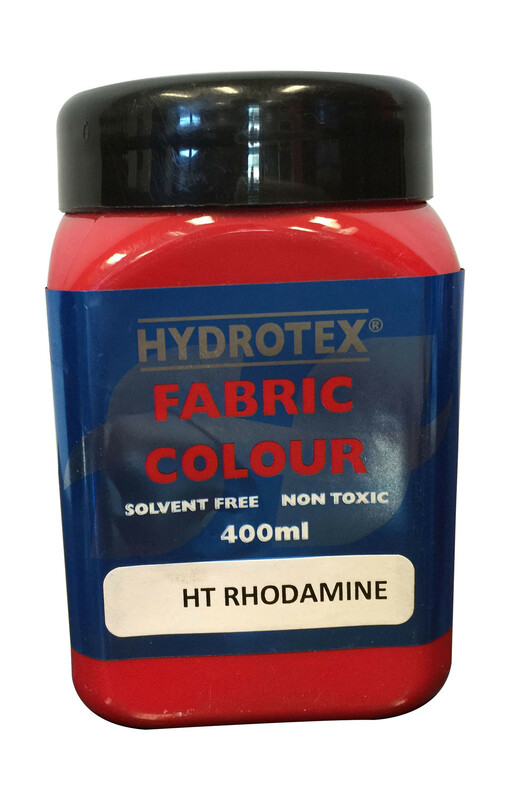 Additives – Softener may be added to Hydrotex at approx 0.5%. 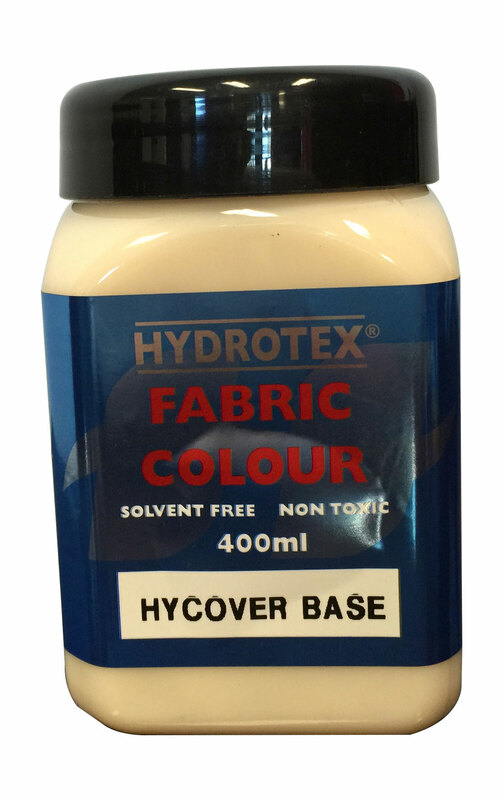 Thickeners, retarders and synthetic fixing agents are not recommended for use in Hydrotex and could have an adverse effect on the finished result. Colorant – Pigment may be added to print paste at a level of approx 5.0%. 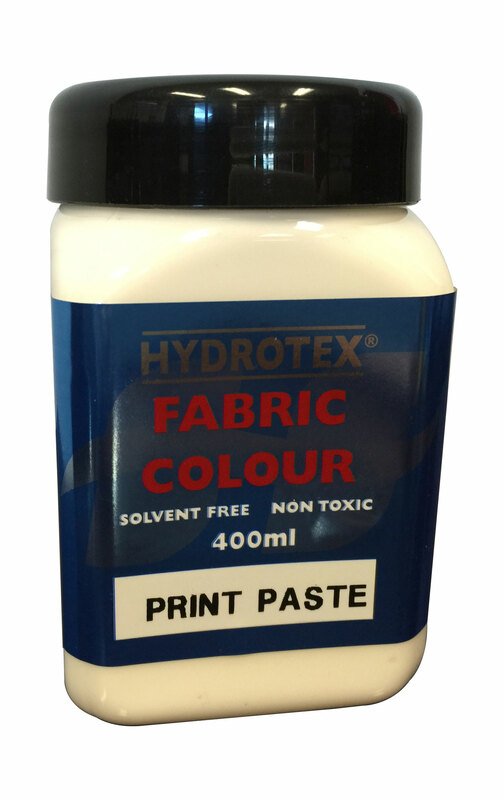 It is recommended that Hydrotech pigments be used in conjunction with Hydrotex print paste. It is recommended that all fluorescent colours & black be purchased as finished products & not made by adding pigments to print paste. 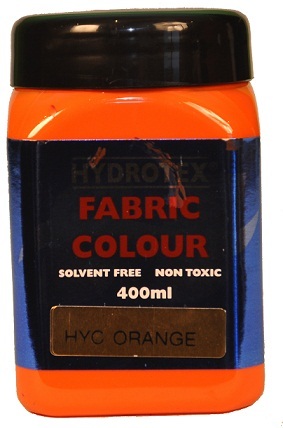 Pigment Dying – Hydrotex may be used as a pigment dying system and or sprayed through air guns. Dilute Hydrotex 3:1 with water or if a stronger dye is required, make a 10% solution of sulphate of Ammonia in water then add to Hydrotex and reduce as to reduce colour strength. Dry & then heat set as above. Wash up – Water. Commercial haze remover may be required to remove stains that build up on the mesh over a period of time. For stubborn stains use a Hydrotech Screen Clean, 1:10 with water. Packaging – Hydrotex is available in 200ML, 400ML, 1L, 4L, 10L and 20L containers. Hydrotex & Hydrotech are the Registered Trade Marks of Hydrotech Ink Pty Limited.